But there is a way to flash-dry dishes and it involves cheating the system a bit, as reported by CNET. Although plenty of dishwashers have self-drying features, that can take precious time, time which could be spent doing other things, like staring down your dry and neatly organized utensil drawer. Here are more quick kitchen cleaning tips you might find useful. 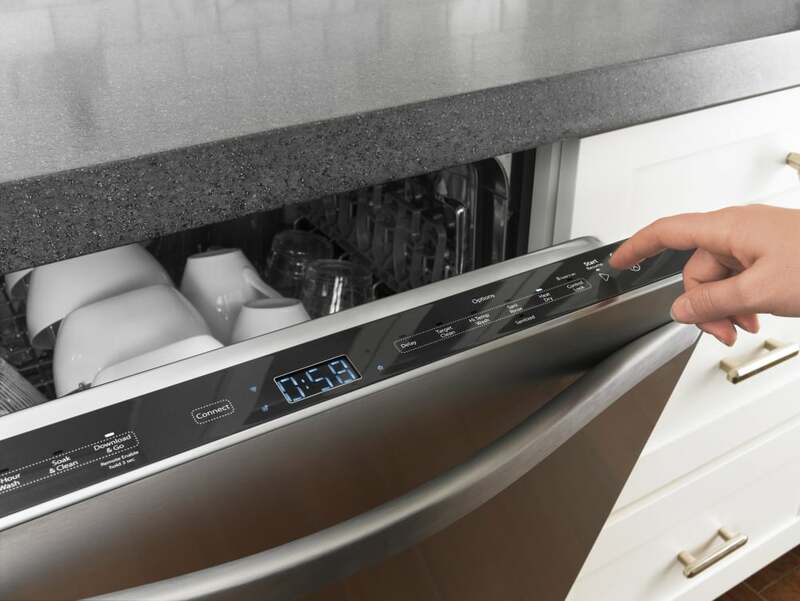 Load your dishwasher just the same as usual, but take note of how long it takes to get to the final rinse cycle. The older models tend to have a dial which notes the progress of the wash, while plenty of newer models have an actual timer, so you can set a timer on your phone. Let the machine run its course, but once you hear the final rinse cycle finish and the water drain from the bottom of the unit, quickly open the door, being sure to keep your face away from the steam. The piping hot dishes will evaporate the excess water droplets and the dense humidity will be expelled quickly through the open door. With most dishwashers, this will cut down the drying time to just a few minutes. Additionally, the machine runtime will be cut down significantly, so that’s a few extra cents off your electric bill. Now that you know a faster way to dry your dishes, make sure you’re not putting these things in the dishwasher at all—sometimes, hand washing is the way to go for certain items.